This Halloween Aurora is having a party at her castle and she needs to decorate, but the guest room is messy, will you give a helping hand? Find important objects around the room, then sweep all the dirt away like magic. 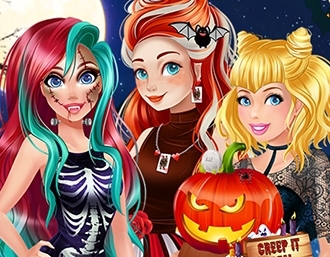 Once you're done you can prepare for the party with spooky lights, curtains, treats and dress Aurora as a famous character! 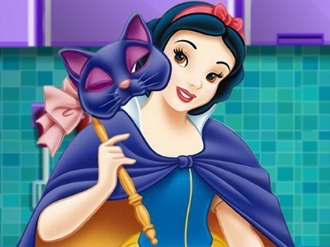 Halloween is near and Princess Snow White it preparing dor this special event.She dressed for halloween and after preparing the treats basket,now she it's preparing a delicios halloween ice cream,decorating it with halloween theme treats.Help her decorate the ice cream for halloween.Have fun! 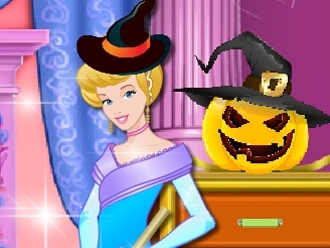 Elsa from Frozen loves Halloween so much, and she decides to organize a wonderful Halloween party in her castle. Now, everything is done, she just needs to choose a perfect Halloween costume. Let’s dress her up with amazing outfits and cool jewelries.